A pre-order is an order placed for an item which has not yet been released. The idea for pre-orders came when people found it hard to get popular items in stores due to their popularity. 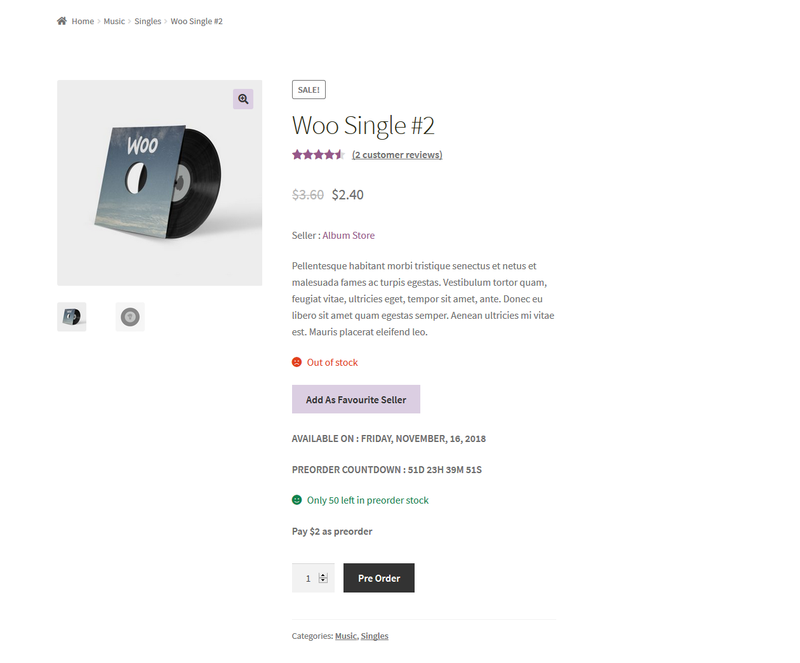 Marketplace Pre Order for WooCommerce allows the customer(s) to purchase a product from the marketplace which is currently out of stock. A customer can even purchase the products which are yet to be released over the marketplace. This plugin provides the feature where a seller of the marketplace can enable pre-order for their products. 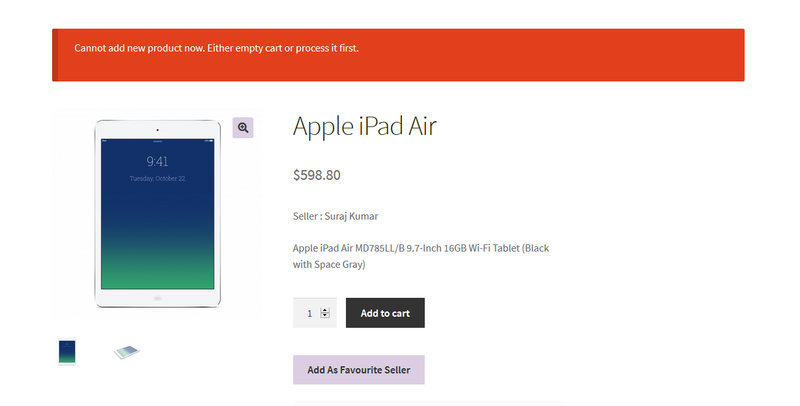 The buyer can order products which are not available in stock if pre-order enabled for those products. Works with every type of products like Simple, Downloadable, Virtual, Variable, and Grouped products as well. The seller can set pre-order status and availability date. The seller can set the custom amount to be paid for the preorder product. By using this plugin customer can either pay the entire amount at once or can pay the partial amount for the order as per the configuration. An email notification will be sent to all registered users for the new pre-order product. The email notification will be sent to the customers once the pre-order product gets available in stock. The user will get a zip file which he has to upload in the “Add New” menu option in the WordPress admin panel. For this login to the WordPress admin panel and under the dashboard hover your mouse over the “Plugins” menu option which brings out a Sub-Menu and then select the “Add New” option. 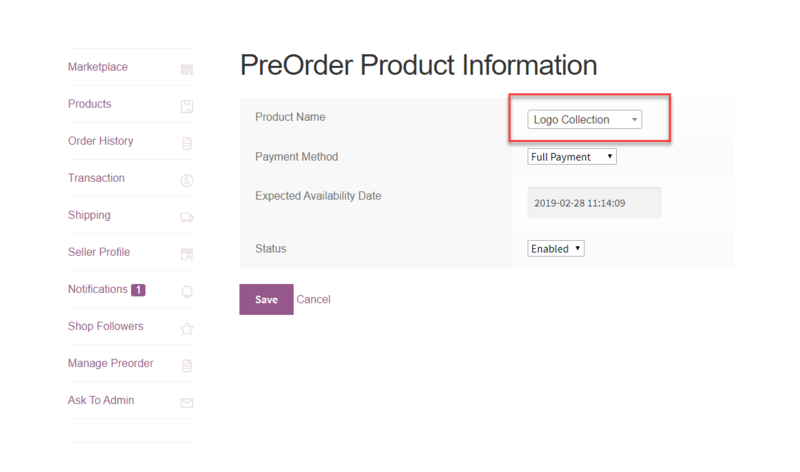 After successful installation of Marketplace Pre Order for WooCommerce the admin can configure it under “Marketplace PreOrder > Settings”. Here the admin can select the time zone for the marketplace. As per the selected Timezone, the time will be maintained for the pre-order products. After successful configuration, the admin can add pre-order products. It can be done under “Marketplace PreOrder > PreOrder List > Add PreOrder”. This is the list of all the pre-order products as well. Admin can check all the available pre-order products here. Note : Make sure the product must be out of stock. Only out of stock product can be added for pre-order. You can make a product out of stock by making the status of the product as “Out of stock”. Product Name – Select Product Name from the list of available product. All out of stock products will be available in the list. Admin can select any of them as per the requirement. Payment Method – Select payment method as “Partial Payment” or “Full Payment”. Original Price – Original Price of the product will be auto-filled as per the product price. PreOrder Price – Enter PreOrder Price if payment method selected as “Partial Payment”. Quantity – Quantity of product. Expected Availability Date – Availability date of the product. Status – Select status as “Enabled” or “Disabled” as per the requirement. By clicking “Save” the product will be added as a pre-order product. The seller can add a product to pre-order under “Manage Preorder > Add Pre-order Product “. This is the list of all the pre-order products as well. The seller can check all the available pre-order products here. Note : Make sure the product is out of stock. Only out of stock product can be added for pre-order. The seller can make a product out of stock by making the status of the product as “Out of stock”. Note: Module supports Simple, Downloadable, Virtual, Variable, and Grouped products. 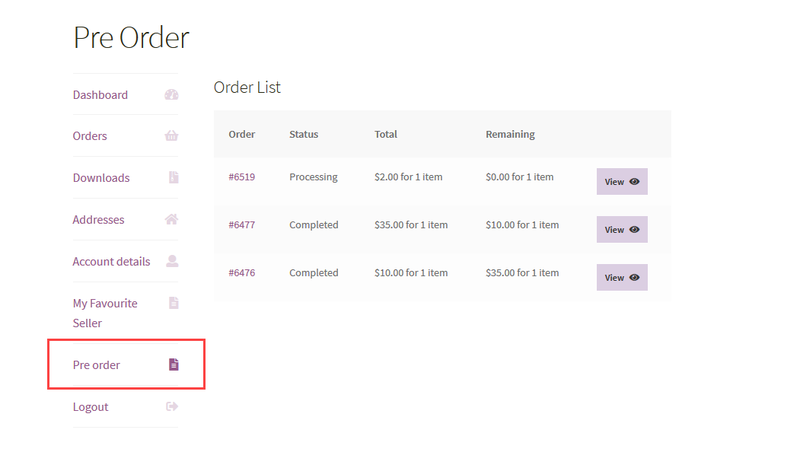 The admin can enable the preorder for grouped products as well. For this, the admin first needs to enable preorder for the associated products of that grouped Product. For example – there is a grouped product “Logo Collection” with associated products “Beanie” and “T-Shirt”. So, the admin first enables the preorder for “Beanie” and “T-Shirt” as shown below. After this, the admin will finally enable the preorder for the grouped product as shown below. 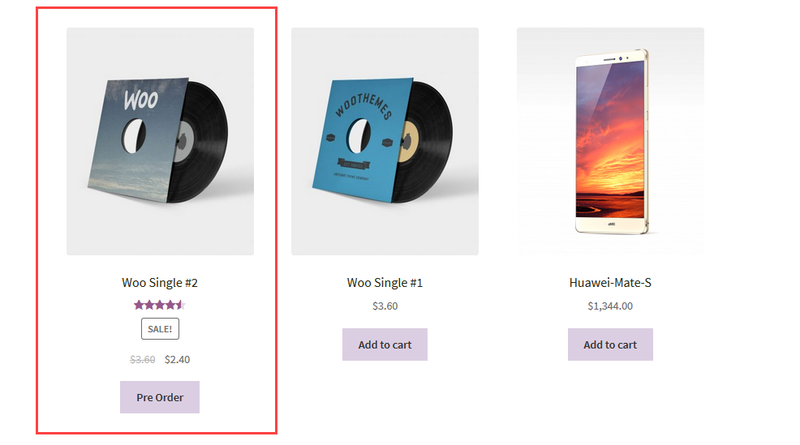 And the grouped pre-order product will be displayed at the front-end. 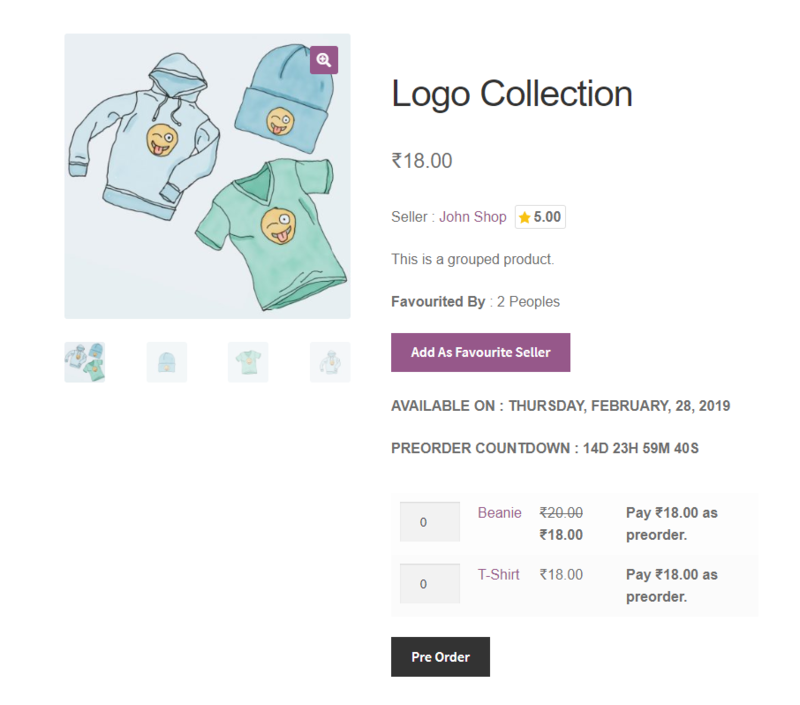 On the product page, the availability and the countdown will be displayed as per the configuration of the seller and the admin. By hitting “Pre Order” the pre-order product will be added to the cart and the customer can complete the checkout process. 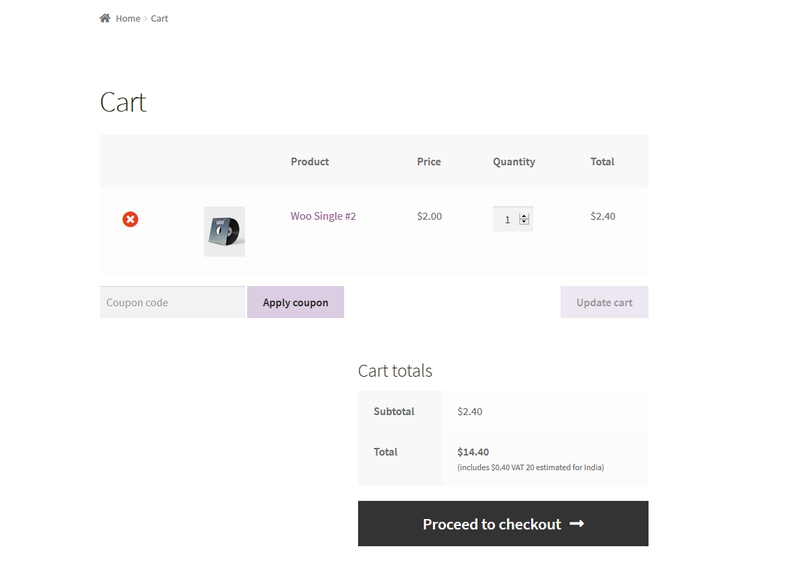 Note : If a pre-order product is added to the cart then no other product can be added to the cart. It will display the error notification as bellow for other product if a pre-order product is already added to the cart. After placing an order for a pre-order product the customer can view them under “My Account > Pre Order”. Once the product is available in stock the customers will be notified through the mail. Then they can pay rest of the amount of the product in case of the partial payment.